The Green New Deal rattled Washington with its call "to achieve net-zero greenhouse gas emissions through a fair and just transition for all communities and workers." Lawmakers are grappling with how to use federal policy to achieve a nationwide reduction in carbon emissions from energy. But what do the people who build clean energy think about it? 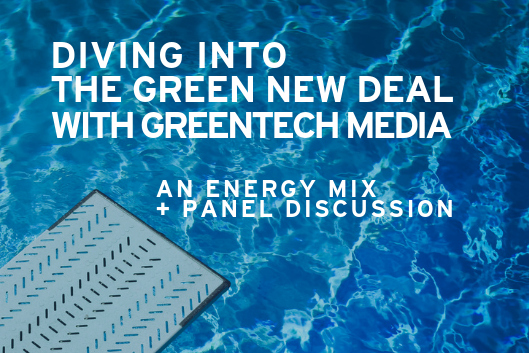 Greentech Media and the Duke University Energy Initiative will host a panel discussion on this topic, featuring leaders from climate activism, the utility sector and the clean energy industry. An Energy Mix networking reception with food and drink will begin at 5:30 p.m., and the panel discussion will commence at 6:30. Complimentary parking is available in the Chemistry Lot on Circuit Drive, adjacent to Gross Hall, beginning at 4:30 p.m. This event is free and open to the public, but REGISTRATION IS REQUIRED.